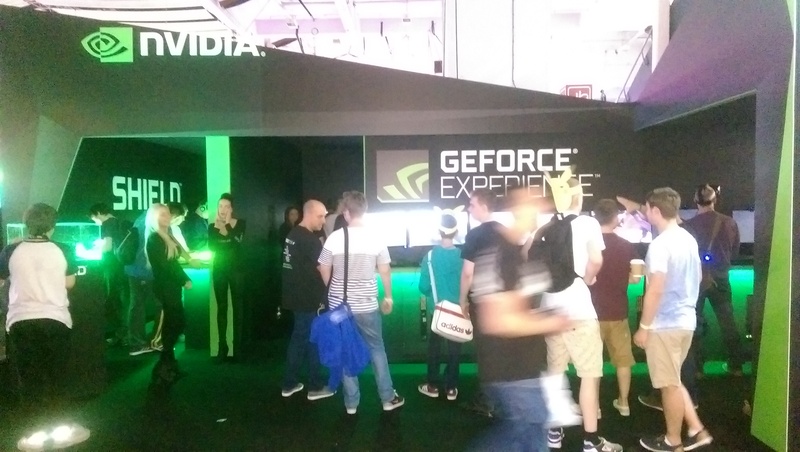 Greetings readers, on Sunday 28th of September, I went to the Euro Gamer Expo held at Earls Court, London. 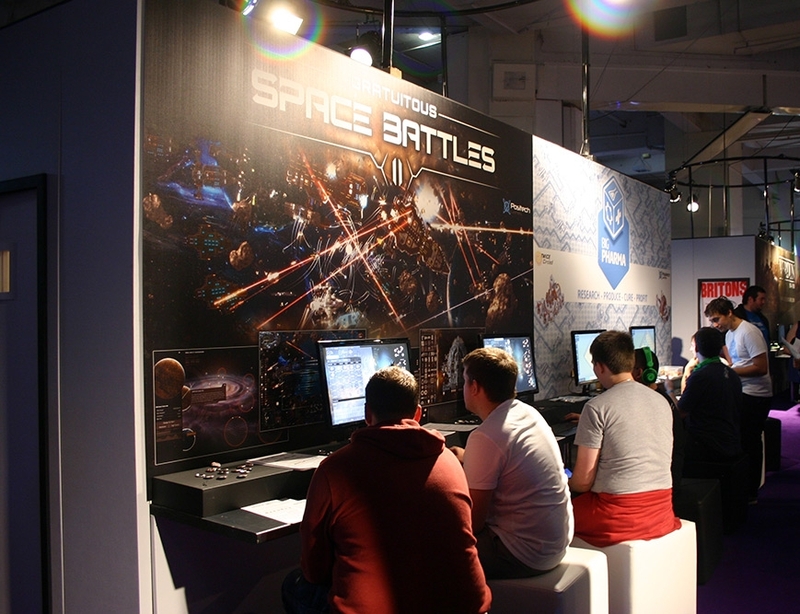 Euro Gamer is the UKs biggest gaming exhibition, showcasing all the biggest games from the largest developers. It runs for 4 days starting on the 25th and ending on the 28th, I was only able to make one day, believe me one day is NOT enough time to explore everything there, I felt like I only scratched the surface, but it was a very enjoyable day out nonetheless! One of the first things I saw upon entering the building was a game being played on a SNES, yes that’s right, a Super Nintendo Entertainment System which launched in the UK on 11th of April 1992. 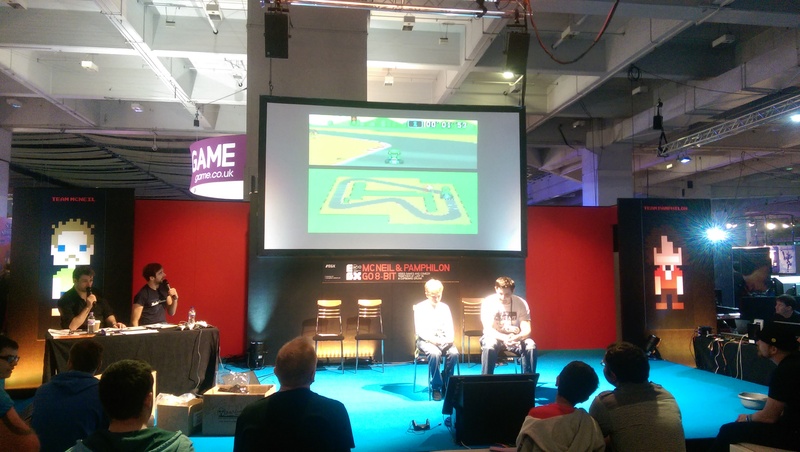 The game being played was Super Mario Kart where the crowd were given a chance to try and beat the world record time of 0’57″90 for 3 laps on Mario Circuit 1 set by Sami Cetin on Christmas Day 2013. I saw a number of people play, but sadly not coming anyway near to that time. Sami Cetin (right) and a member of the audience. I must say that no amount of written word can really describe what it’s like to use, but I’ll try. The game that we played was Eve Valkyrie, a space sim game very much like Freelancer, or Wing Commander, and it was a 1 on 1 dog fight. When I put the Oculus Rift on I was amazed! It was if I was sitting in the cockpit of the fighter, I look down and see a body, look left and right and you can see out of the side windows, you could even turn a full 180 degrees if you wanted to take a look out of the back window. The fight took place in an area with two capital ships, a large gas giant and a large asteroid belt in the middle of the map. I saw my opponent first and zeroed in using my ships dual Gatling guns, but the auto-aim was on and it was BAD! It seemed to fired AT the enemy ship and not in front of it, I didn’t have time to turn it off so I had to make do. (I prefer it off as that is what I’m used to in my space sim games). That’s not me playing by the way! The missile lock on worked by you using the Oculus Rift to keep the target ship in view, if you can turn your head to see the ship you can keep a lock on, as my opponent discovered much to my delight and I ended up winning my dog fight! I wished I could have taken the Oculus Rift home with me, but sadly no. Next I went to the Destiny booth, I still hadn’t played the game at this point so I thought it worth the small queue of 20 mins, and also the Call of Duty line was at a 120 minute wait at this point, and the Destiny booth was right next to the Sony stand where they were getting the crowd to take part in a football tournament, I’ll be honest and say that football is not my thing, so if the game is good or not I can’t really say, however one guy who lost 5 – 1 completely “rage quit” the game and stormed off in front of everyone, making the Destiny queue somewhat entertaining! 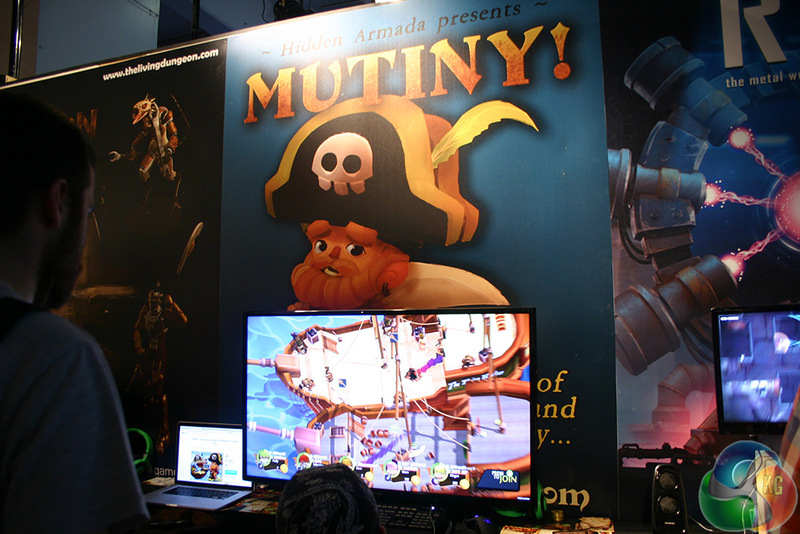 There were a lot of games to try out, first up was a game called Mutiny! This was a game where 8 players had to defend a ship that they were on from other pirates that came in waves, the aim was for players to collect as many coins as possible by killing enemies that tried to board your ship, boarding the attacking pirate ships, or by smashing barrels. The player with the most coins became the captain. The captain is a lot more powerful than the other players … but can also attack other players!, when that happens the other players can mutiny to kill the captain making whoever has the next largest amount of coins captain. The game is both Co-op and VS at the same time, VS to become the captain, and Co-op to defend your ship, if the ship takes to much damage then it’s game over. There was a lot happening on screen, that and the game’s ever changing isometric camera view made it very hard keeping an eye on where your character is on screen, and if you fell into the sea, best of luck getting back on the ship again. The game is in very early beta and I’m sure that these issues will be eventually sorted. Overall a very enjoyable game! Well worth a look at http://www.hiddenarmada.com/. Next up was Gratuitous Space Battles 2, I’m really looking forward to this game coming out, I liked the original game, and the sequel is adding even more to it! The game is a space battle simulation, first off you begin making the ships for your fleet, you drag and drop ship components (weapons, engines, armour plate etc…) on to a ship model to your heart’s content, there are fighter, corvettes and battleships available to make. In GSB2 however you can also change the look of your ship by adding wings and other parts to make the ships look unique. After you have made your ships you are taken to an overlay of the battle, here you make your formations, and set orders that will be carried out in the battle, as soon as you click the start button, you can sit down and watch the battle unfold, you can’t directly take control of the ships when the battle has started though). The space battles have also undergone some massive improvements in graphics, the lighting effects are some of the best that I have seen in a game for a quite a while, also the game has moved from pure 2D to now including a good number of 3D elements. The game is due out later on in the year. For more information take a look at the game’s web site: http://positech.co.uk/. 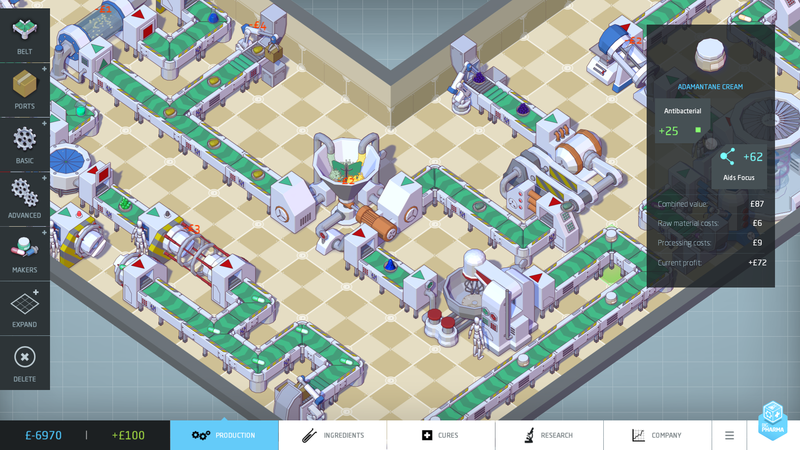 Next up Big Pharma, in this game you make pharmaceuticals, the way the game plays kind of reminds me of the ‘Theme’ games especially Theme Hospital, the colour palette and the look of the game is spot on, but instead of giving the drugs to patients in this game you MAKE the drugs to sell on to hospitals. There is also a moral issue to choose from, do you sell the drugs to make a ton of money, or do you sell at a loss to help as many people as you can. The game was in very early beta, in fact this was the first time we have seen some thing playable. From what I played, it was a very competent tycoon game, so if you’re into these sorts of games then it’s worth keeping an eye on. The release date is set to be May 2015. The game web site can be found at http://www.bigpharmagame.com/. There was a lot more that I wanted to play, I really wanted to get on to Dragon Age Inquisition, but when I went to get in to queue I was turned away because they were closing for the day! 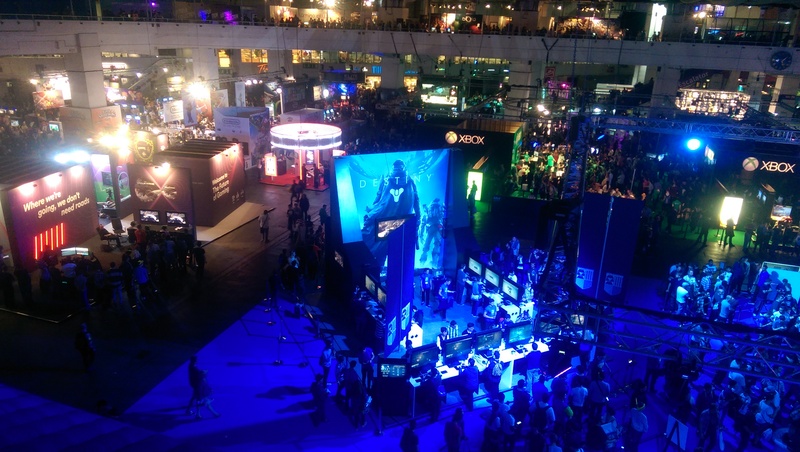 Also Battlefield Hardline was there, that I wanted to play that as well… and yes, some guy did ask them if the game will be playable at launch this time, to which the response was yes … I’ll believe that when it happens! Thank you for taking the time to read this post, your support means a lot to me! My next convention will be at MCM Comic Con at Royal Victoria Dock, London on the 24 – 26 October 2014, I’ll only be attending on the 26th mind. 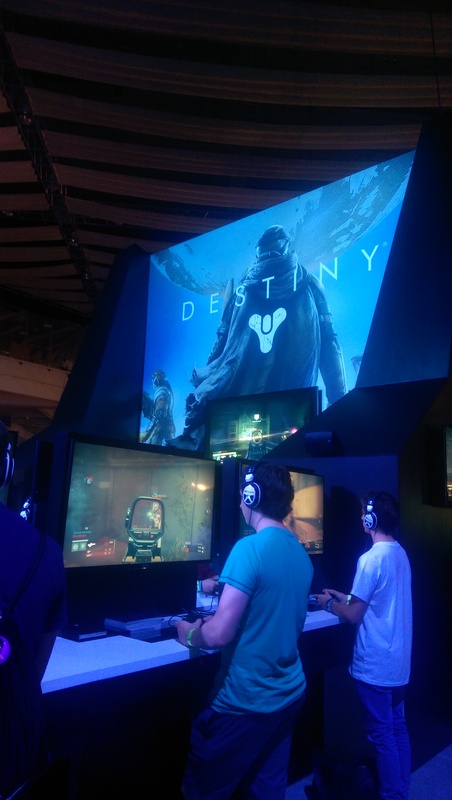 Posted on October 6, 2014, in Gaming and tagged Destiny, Earls Court, Gratuitous Space Battles, Microsoft, Mutiny!, Nintendo, Sony. Bookmark the permalink. 8 Comments. Reblogged this on Rageypeeps Wonderings. 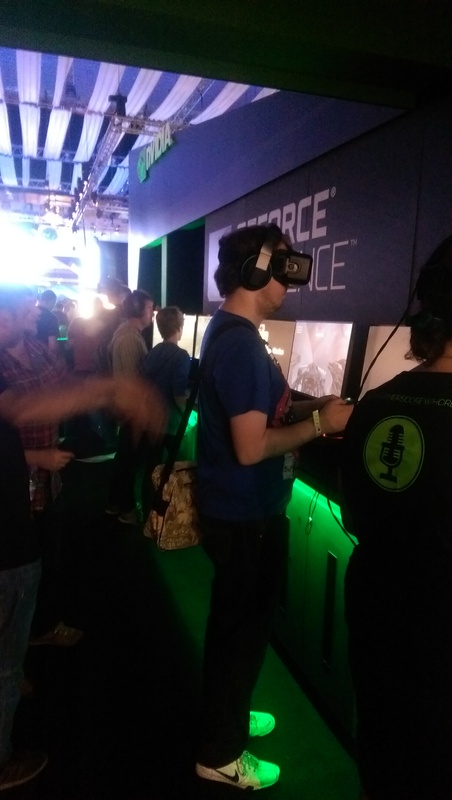 Yeah me too, this is written by my co-author on the site and he goes to all the biggest conventions across the country, I really want to have a go on Oculus Rift myself! It was indeed a great day Felicia, thanks for the read and comment … have a fantastic day!